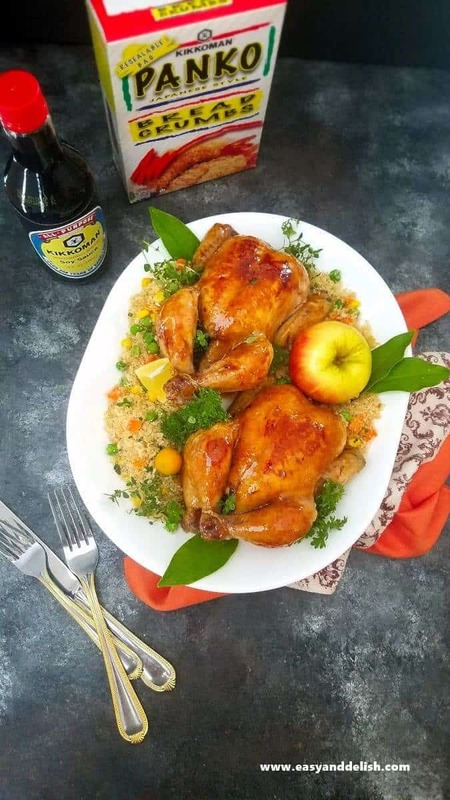 An easy Apple Glaze Cornish Hen served with Toasted Herb Dressing that is much quicker to prepare than turkey. A must for your holiday table! Thanksgiving is coming up just one week from now. If you are not ready, don’t worry! 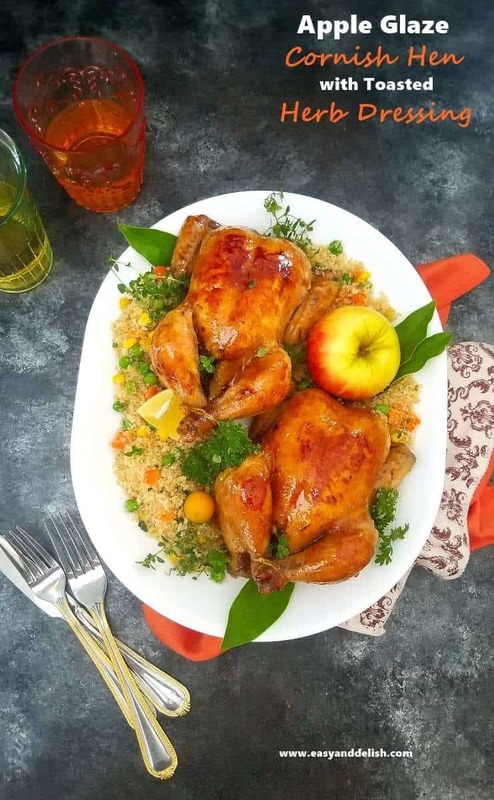 Our easy and delish Apple Glaze Cornish Hen with Toasted Herb Dressing will help you to celebrate the holiday in style, demanding much less time in the kitchen than a traditional turkey. You don’t even have to worry about what to do with leftovers. 😉 Now how cool is that?! 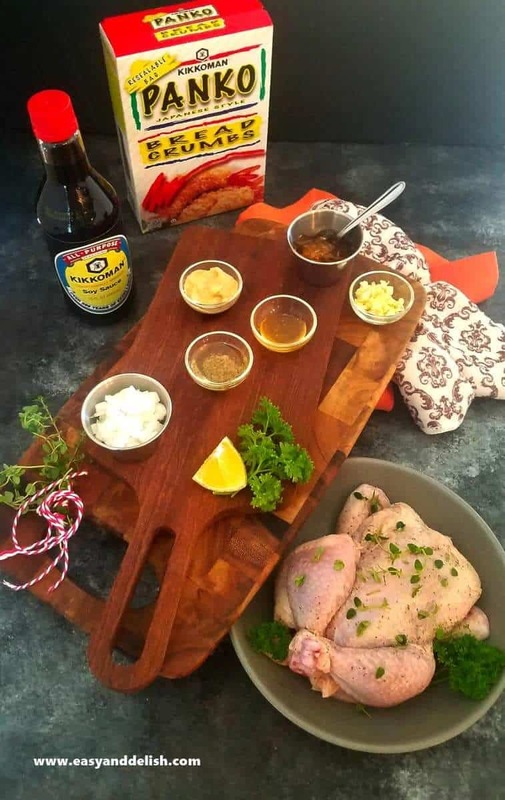 This is a recipe made with simple ingredients such as cornish hens, apple jelly, flavor enhancing Kikkoman® Soy Sauce, Kikkoman® Panko Bread Crumbs, vegetable oil, seasonings, lemon, honey, and mustard. All of the ingredients are conveniently available at your nearest Walmart. 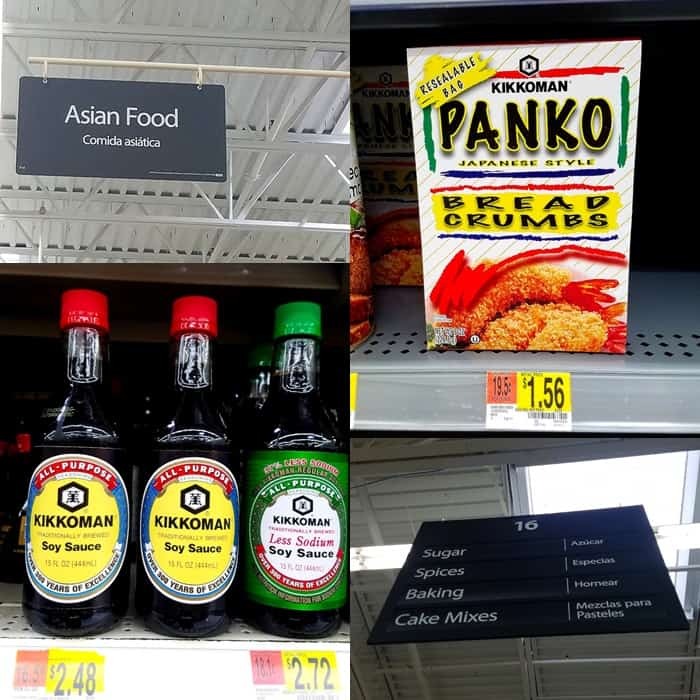 Kikkoman® Soy Sauce, a key ingredient for your Holiday recipes, can be found in the Asian foods aisle; while Kikkoman® Panko Bread Crumbs will be found in the breading/baking section (not the Asian aisle). To prepare our Apple Glaze Cornish Hen, all we have to do is rub half of a lemon all around the outside of the hen and then brush with a mixture of oil, salt, and pepper. Tie the legs with kitchen twine and tuck the wing tips under the hen. Next, roast at 375°F for about one hour or until a thermometer registers 165°F. The hen should be brushed with an apple glaze made with apple jelly, Kikkoman® Soy Sauce, mustard, and honey about 25 to 30 minutes before taking out of the oven. See? Easy peasy! Anyone can prepare this fabulous Thanksgiving meal without needing any advanced cooking skills. For more unique and creative Thanksgiving and everyday recipes like ours, visit the Kikkoman® website. But that’s not all! We’re gonna accompany our Apple Glaze Cornish Hen with a fabulous yet simple-to-prepare Toasted Herb Dressing. This is something that requires no baking, in contrast to traditional dressing or stuffing. 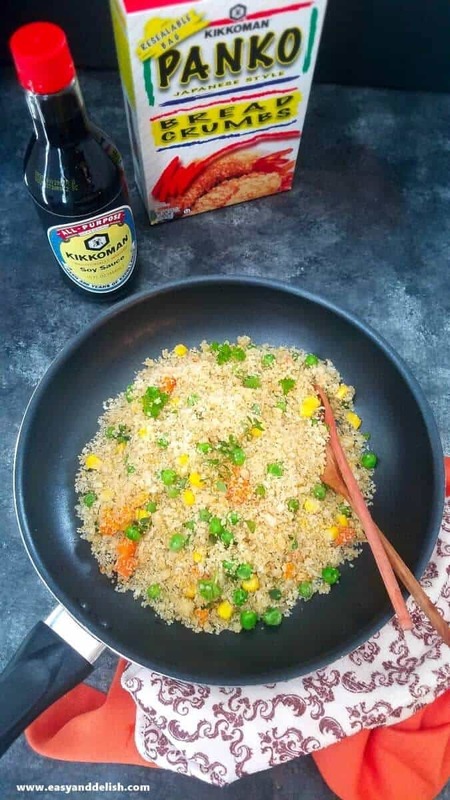 For our dressing, we will simply sweat chopped onion and garlic in vegetable oil, add Kikkoman® Panko Bread Crumbs, and let cook for around a couple of minutes. Then, season with salt and pepper, add butter, fresh thyme, and if desired, cooked corn kernels and carrots. And voila! 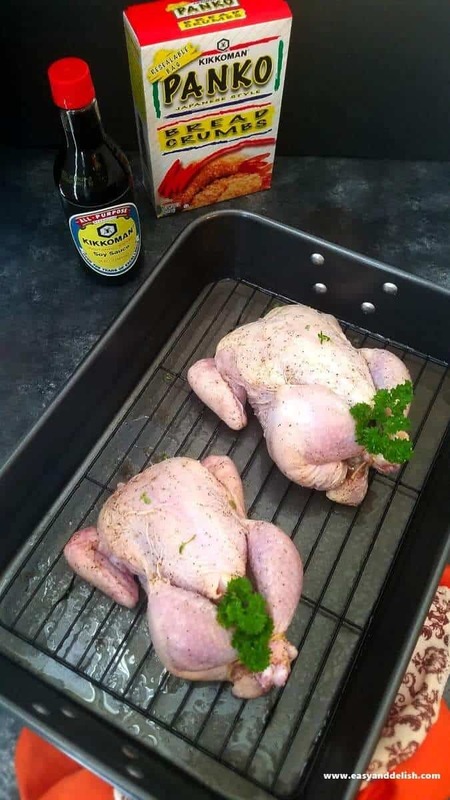 Right before serving, place bird on a serving platter accompanied by the dressing. This way, you can save time in the kitchen and spend more time with your loved ones– those who you are really thankful for… while keeping the magic and meaning of this holiday intact! Kikkoman® wants to help make your holiday more affordable. To get in on the savings, click on Kikkoman® Soy Sauce and Kikkoman® Bread Crumbs in order to be able to redeem the deals. Planning for the holidays is a must, but slaving away in the kitchen is a choice. A simple, affordable, and elegant Thanksgiving meal like our Apple Glaze Cornish Hen with Toasted Herb Dressing brings the warmth of the holiday without all the fuss. If you are cooking for one or two, have a small family, or simply don’t want to spend several hours in the kitchen preparing a whole turkey and all that comes with it, make our delicious dish. You won’t regret it! Most of all, enjoy… both the meal and the time with family! Pat dry each hen. Rub each with a quarter of a lemon all around the outside and then brush with a mixture of oil, salt, and pepper. Place quartered lemon and one sprig of thyme into the cavity of each hen, tie the legs with kitchen twine, and then tuck the wing tips under each hen. Next, transfer the hens to the rack of a large roasting pan and add just a bit of water or chicken broth to the bottom of the pan to prevent drippings to burn. Roast them in the oven middle rack for about 60 minutes or until thermometer inserted into the thickest part of the thigh (without touching the bone) registers 165°F. However, 25 to 30 minutes before taking them out of the oven, brush with the apple glaze two to three times times. 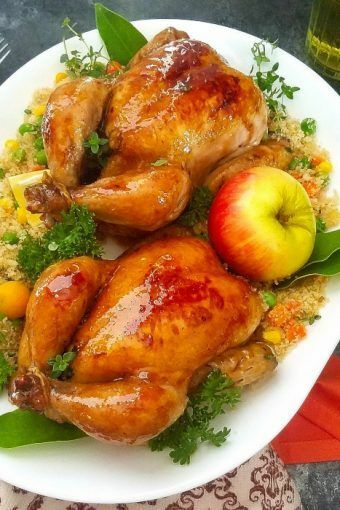 To make this, mix apple jelly, Kikkoman® Soy Sauce, mustard, and honey in a bowl and brush each hen all over. Heat a large skillet over medium heat, add oil and sweat chopped onion for about 3-4 minutes. Then, cook garlic for about 1 minute, stirring occasionally. Do not let brown! Add butter and let melt. Add Kikkoman® Panko Bread Crumbs and let cook for a couple of minutes, stirring occasionally. Then, season with salt and pepper to taste (I prefer mine slightly spicy) , add fresh thyme leaves, and if desired, cooked corn kernels, peas, and carrots. 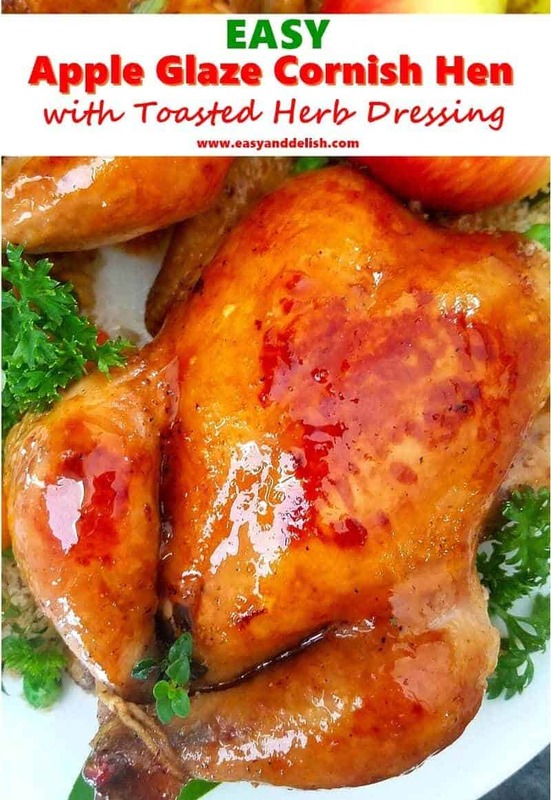 Serve with Apple Glaze Cornish Hen and enjoy! NOTE: Herb dressing will be buttery and crunchy. If you prefer a softer texture, stir in just a few tablespoons of chicken broth so the dressing will be moist but not mush. I added cooked frozen carrots, peas, and corn to my herb dressing making it slightly sweet -- which pairs well with the apple glaze from the cornish hen. Thank you so much, Amber! 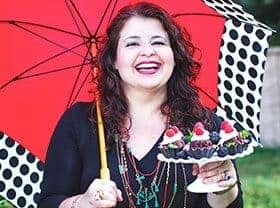 I am so glad that the client enjoyed the recipe. It was a real hit at my household. Happy Thanksgiving! We’ll be out and about visiting on Thanksgiving. When we return home without leftovers this fabulous recipe for Cornish game hens is just a quick recipe I need to remind me of turkey day, but without all the big fuss! So true Deb. Wishing you a happy Thanksgiving! Its been a long time I visited your blog. 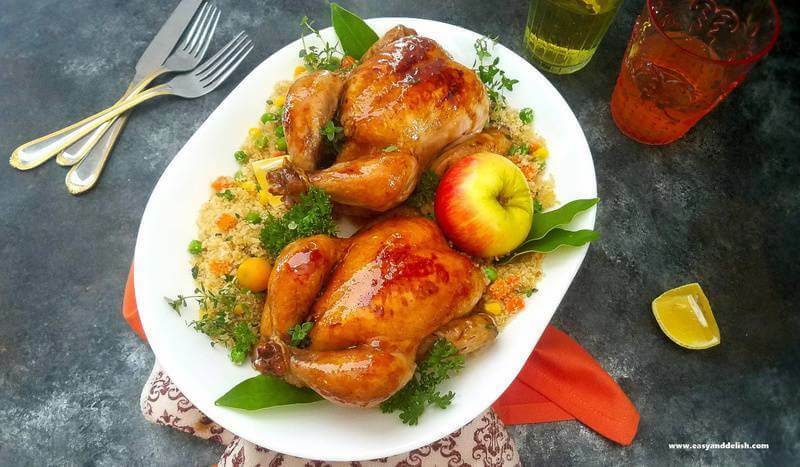 The apple glaze cornish hen looks amazing…..perfect for Thanksgiving.